Discussion in 'General Questions' started by DiomedesD, Apr 16, 2019 at 8:22 AM. 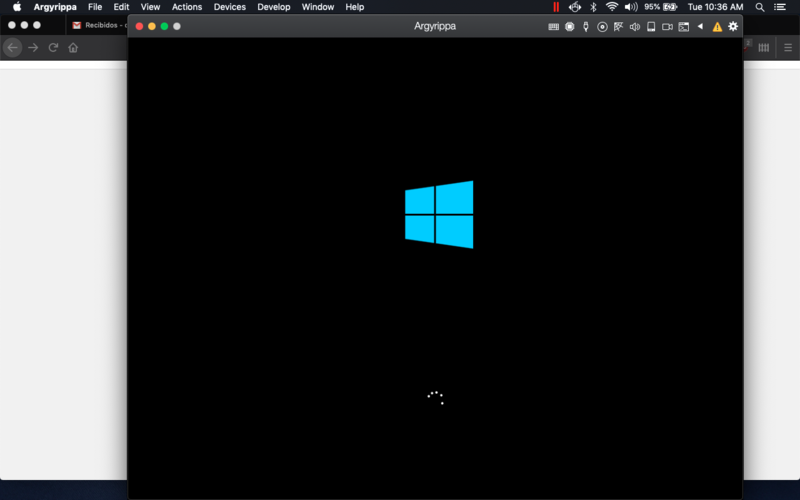 In the weekend I purchased an upgrade license for the Parallels 14 to be used in Mojave, but I haven't be able to install any version of Windows, I got the same loading screen as shown in the screen capture. I tried with Windows Server 2019, 2016, 2012 R2 and Windows 10 Enterprise, but I always got the same screen. Hi, if you decide to continue investigation, please generate the problem report after the issue reproduced and reply us with the report ID. If you don't want to investigate and resolve it, please provide us with your purchase order and we will check it for the further refund. Tell me, please, how to restore the individual key for the program? Hi, your order has been refunded. Funds will appear on your bank account during 5-7 days.